Young Rembrandts is celebrating 30 years of being an influential part of art education in communities all over the nation. They have been doing events and social media campaigns each month to thank everyone who has supported them throughout the years. 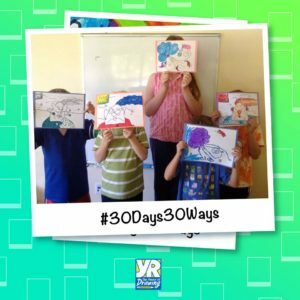 This June each day on social media Young Rembrandts will show different ways drawing positively impacts kids’ lives. Take a look at what their customers and franchisees are saying. For more information on how Young Rembrandts has been celebrating their diamond anniversary, check out their Facebook page and website.